Pulisadam | Puliogare | Puliyotharai is a south-Indian specialty. This is a satisfying meal that doesn't demand for any accompaniments. It is very easy to make and more satisfying you had found a good way to get rid of the previous day's left over rice! 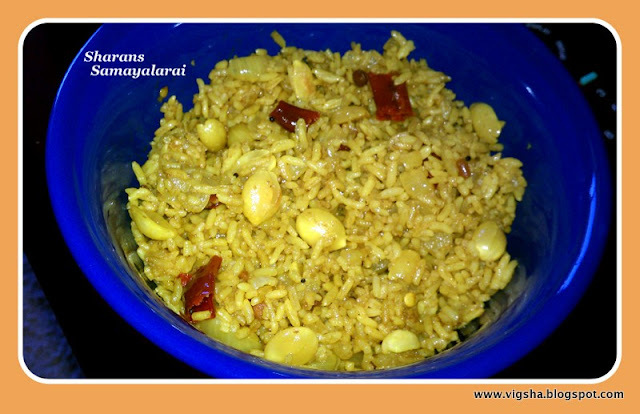 Unlike the regular Tamarind rice where you prepare the tangy sauce(Puli kachal), this calls for the simple tamarind extract and some extra amount of left over rice as for the main ingredients. 1). Mix rice with thick tamarind extract, 1 tsp of sesame oil, salt and turmeric powder. Lightly press/pack the rice. Close it with a lid and let it stand for at least 6-8 hours. 2). 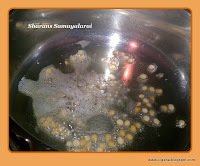 Heat sesame oil in a pan, splutter the mustard seeds, brown the urad dal, throw in the curry leaves and broken chillies. Stir in the chopped onions and saute till translucent. Then add roasted peanuts and give a stir. 3). Add turmeric powder, hing and saute till the raw smell goes. Now add the rice and mix gently until pulisadam gets heated up and the oil coats over the grains. Remove from fire and serve hot with vadagam / paruppu thuvaiyal / potato chips / scrambled eggs / curd and pickle. # You can marinate the rice overnight and use it for lunch the following day. 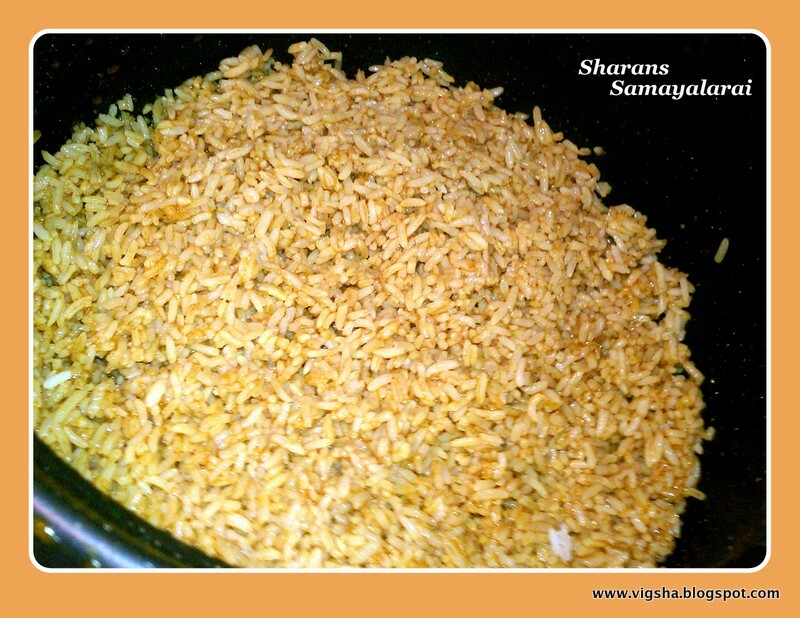 # The marinated rice keeps well for few more hours under refrigeration.